Walk to the U of A! 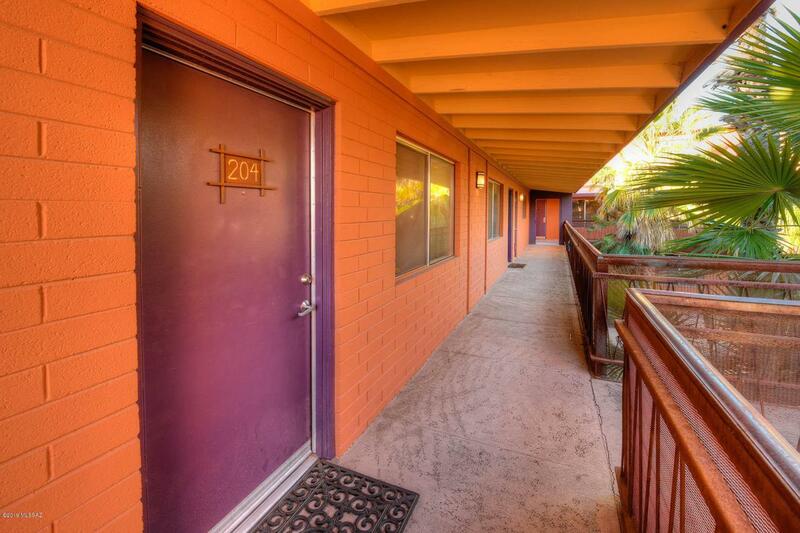 This remodeled upstairs condo can be a great investment opportunity. 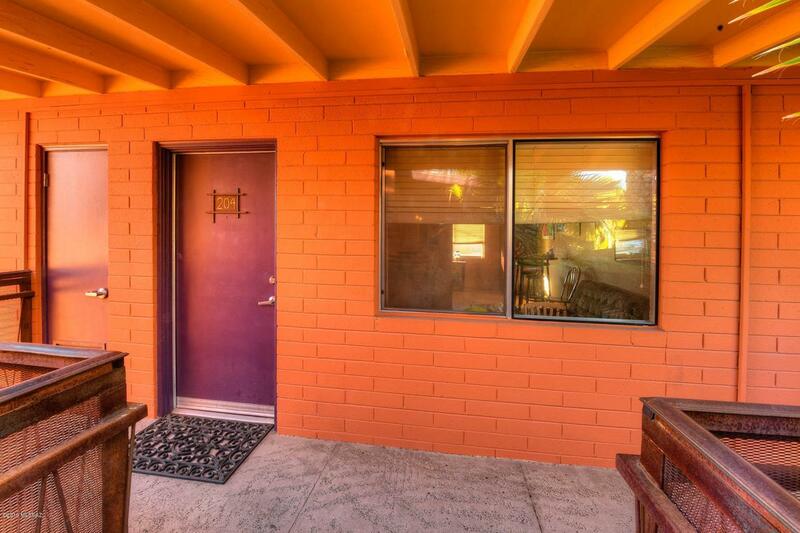 Spacious family room with easy care concrete flooring, trendy new tile in both bedrooms. Kitchen features upgraded cabinets, stainless appliances & eat in area. Full bath has been redone too. 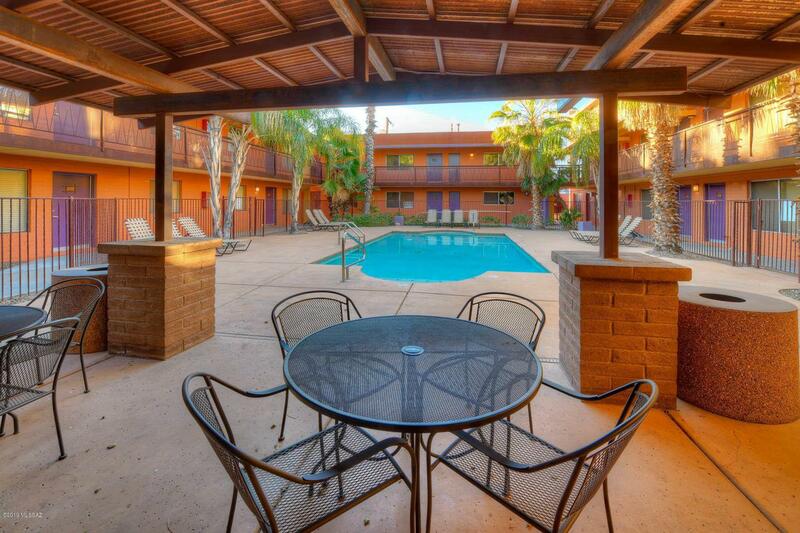 Laundry in unit, HOA includes water, wifi, trash, roof, pest, termite & building exterior. 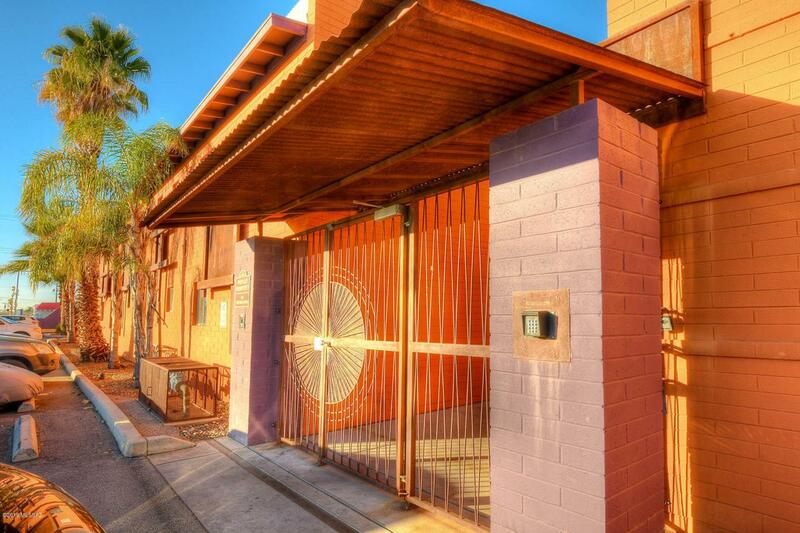 Community is gated and has nice pool, ramada area. Lease with tenants until May 2019.